After ten years of G20 meetings, development on crucial points on the agenda was stagnant. This concerns particularly three policy areas that Germany had made a priority during its G20 presidency last year. According to a summary of the German government, its first three priorities on the G20 agenda included sustaining the open global trade system, working on climate policy together, and improving Africa’s integration into the global economy. As concerns finding common answers to current political crises, the outcome of the G20 summit was also meager. For example, it was apparently impossible for the leaders of the world’s economically most powerful countries to find a solution to stop Russia from threatening Ukraine and interfering in its domestic politics. Regarding the goal of Africa’s integration into the world economy, the G20 leaders are further away from it than a year and a half ago when they met in Hamburg. 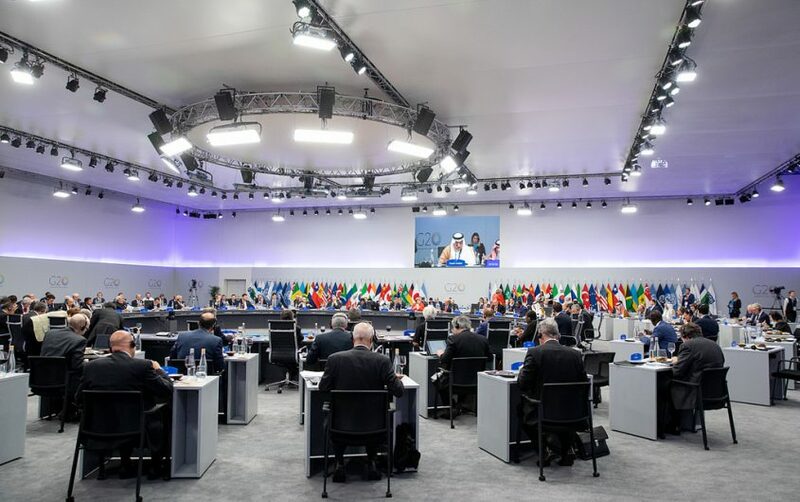 To begin with, the continent’s interests remain crucially underrepresented in the G20 format, given that South Africa is the only country sitting at the table. While Argentina’s G20 presidency did little to follow-up on last year’s launch of the “Compact with Africa,” an investment program that asked all of the G20 countries to sign investment facilitation agreements with individual African partner countries, the hope now is that Japan’s government will pick up the task during its G20 presidency in 2019. Concerning climate policy, while governments of all countries except the United States declared their willingness to keep the Paris Agreement alive, global initiatives to reach the targets have stalled. It is worth noting that leaders of the other nineteen countries also committed to the full implementation of the climate agreement. 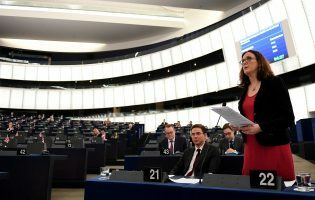 However, the final text remains opaque on how to reach important benchmarks and what mechanism or actor is going to make sure that member states fulfill their promises. This being said, stagnation may even be seen as positive, given that in recent months two further G20 countries have sent at least mixed signals, suggesting that they are close to exiting the agreement. On trade, the G20 leaders agreed on the need to reform the World Trade Organization (WTO). However, it appears as if the price for getting President Trump to sign the summit statement was to leave out key problems, including a solution to the escalating tariff conflicts and an agenda for WTO reform. For example, there is no mention of a proposal on how to reform the contested WTO dispute settlement mechanism. 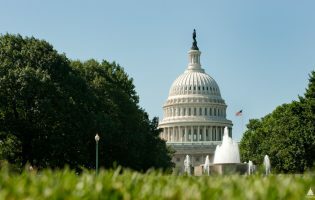 Currently, Washington is highly critical of the latter, blocking the re-appointment and nomination of judges to the institution’s appellate body, which could render it unable to continue its work by the end of 2019. Clearly, the G20 leaders at this point are unable to unanimously declare that they believe the existing open international trade order is in their best interest. Clearly, the G20 leaders at this point are unable to unanimously declare that they believe the existing open international trade order is in their best interest. 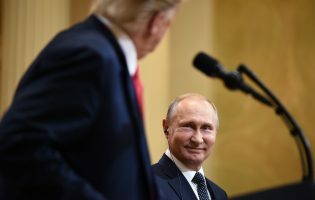 G20 countries who have been close trade partners and political and military allies of the U.S. for decades are alienated by Donald Trump’s decision to introduce across-the-board tariffs on imports of steel and aluminum and his continuous threats to place tariffs on autos and automobile parts. If it is China that the U.S. accuses of unduly exploiting the open global trade order by stealing intellectual property and employing unfair industrial strategies to raise exports, why are European, Japanese, South Korean, Mexican, or Canadian exporters punished? Beyond U.S. tariffs and tariff threats that hurt key industry interests in the latter countries directly, the same industries as well as consumers are also worried about indirect effects of the escalating trade conflict between the U.S. and China. This bigger threat is also driving uncertainty in global asset markets. Among financial analysts, the numbers of those doubting that Trump will be successful in forcing China to actually implement major reforms and restructure its economy are rising. Reactions to the meeting between Trump and Chinese president Xi Jinping underscore this skepticism. For one, the ninety-day “truce” between Xi and Trump could not conceal the destruction already created by a heated trade conflict between both world powers for more than 48 hours after. For another, Trump’s decision to host the heads of Germany’s three biggest car producers—VW, BMW, and Daimler—at the White House on the day after the G20 summit leads to new concerns among investors. Listening to statements of the German car CEOs as they were exiting the White House, there is little to convince us that the “ceasefire” in trade between the U.S. and the EU will be kept for much longer. 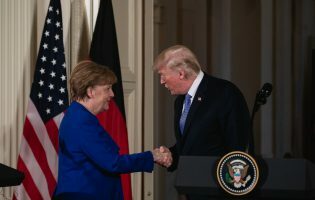 While the German motor companies declared their willingness to increase investment and open new production sites in the U.S., thereby further adding to job creation in America, the Trump administration sent no signal afterward that such action would be enough. Trump has repeatedly said that he wants the EU to increase imports from the U.S. to reduce the U.S. trade deficit, which reached the highest level in a decade in October 2018. However, nothing that the German car bosses could offer Trump is likely to reduce the trade (in goods) deficit. For the EU to find a common reaction to potential new U.S. tariffs and to stay unified, much will now depend on Germany. Chancellor Angela Merkel needs to make sure that she weighs cooperation within the EU and compliance with international organizations like the WTO higher than narrow national economic interests. 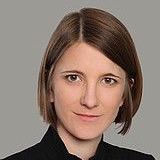 Dr. Laura von Daniels is Deputy Head of Research Division "The Americas" at the German Institute for International and Security Affairs (Stiftung Wissenschaft und Politik). Her areas of expertise include the international financial system, financial and debt crisis, and foreign trade policy, with a focus on U.S. economic policy, monetary policy, trade policy, trade agreements, Investor-State Dispute Settlement (ISDS), financial crisis, and financial regulation.